Kevin Smith Transportation Group is a Luxury Transportation company that services the entire Greater Philadelphia, PA area. KSTG delivers services daily in Bucks, Chester, Delaware, Doylestown and Philadelphia counties. This includes more than 300 cities, towns, boroughs and Providences across the area. One of the places a KSTG vehicle will regularly service is Schuylkill Township, PA.
Kevin Smith Transportation Group delivers both Leisure and Corporate Transportation services in Schuylkill Township, PA. KSTG’s Leisure division will often be seen sending out a Wedding Limo or Wedding Shuttle on most weekends. Service requests for a Limo or Party Bus for a Night on the Town or a trip to Philadelphia, PA for a concert or show is very common and popular for those who live in Schuylkill Township, PA. The exciting requests for a Party Bus to the Manhattan Cruise Terminal or a night out at the casinos makes for a great night. If you are fortunate enough to work for one of the amazing companies in Schuylkill Township, PA, then you may require the services of Kevin Smith Transportation Group and our Corporate Transportation division. Airport Transportation is a common service request with Philadelphia International Airport (PHL) located so close to Schuylkill Township, PA. However, with nearly a dozen International Airports in the Mid-Atlantic area, many companies will utilize KSTG’s services for Airport Transportation to Newark International (EWR), Kennedy Airport (JFK) or other points north or south of the Philadelphia, PA area. Other Corporate Transportation services that Kevin Smith Transportation Group offers companies in Schuylkill Township, PA include Shuttle Services. This may be needed for moving employees to local SEPTA stations for both their morning commute and returning home in the evening. KSTH Sprinters and Mini Buses are popular vehicles for this service. Some companies, with offices or clients around the country, often have employees traveling through local FBO’s. When Private Aviation is utilized, KSTG Cadillac XTS’s and Black Yukon’s are often seen transferring employees from their offices in Schuylkill Township, PA to those local FBO’s including Northeast Philadelphia Airport, Doylestown Airport and Wings Field. Many companies in Schuylkill Township, PA have been pushed by their Senior Management or Counsel’s office to follow strict Duty of Care requirements with their employees. This means that the days of using an unregulated Black Car Service for Corporate Transportation services is no longer allowed. For Kevin Smith Transportation Group, this means that our Black Car Service division, including our fleet of Cadillac XTS’s, Black Yukons and Black Infiniti’s, are regular visitors to Schuylkill Township, PA.
Schuylkill Township, PA is a township in Chester County, PA. It contains the village of Valley Forge. The population is estimated at 8,516. The Moses Coates Jr. Farm, Gen. Frederick Von Steuben Headquarters, Moore Hall, Matthias Pennypacker Farm, and White Horse Farm are listed on the National Register of Historic Places. Moses Coates Jr. Farm, also known as Meadow Brook Farm, is a historic home and farm located in Schuylkill Township, Chester County, Pennsylvania. The house is a 2 1⁄2-story, ell-shaped, stuccoed stone structure with a gable roof. The oldest section dates to about 1754, as a two-story, six-bay two room over two room house in the Georgian style. About 1800, a three-bay section was added. An addition expansion was in 1896, and the house reconstructed in 1933 for use as a clubhouse, at which time the property was converted to a 9-hole golf course. Also on the property are a contributing bank barn, carriage house, and two spring houses. During the American Revolution the house served as officer’s quarters for American officers in late-1777 and early-1778 during the encampment at Valley Forge. The General Friedrich Von Steuben Headquarters is a historic house on Pennsylvania Route 23 in Valley Forge National Historical Park in Chester County, Pennsylvania. 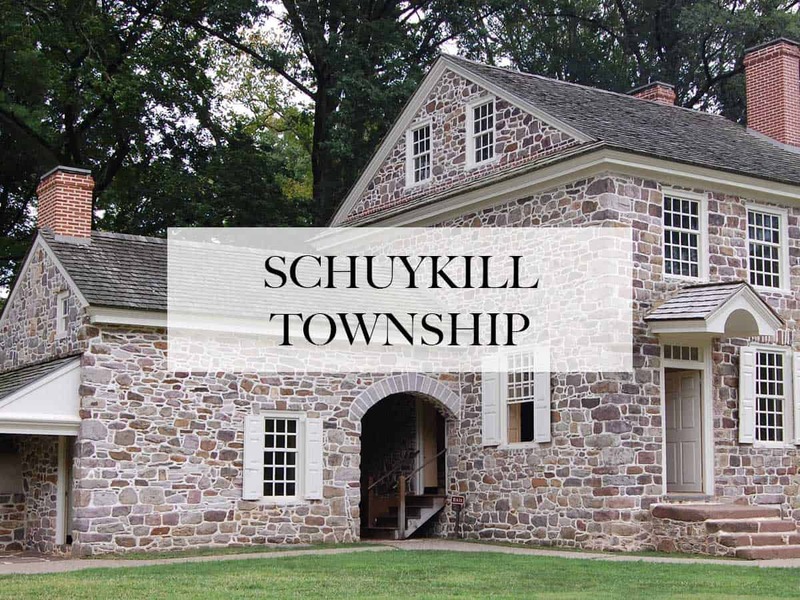 Built about 1770, it has been advanced as a possible residence of Baron Friedrich von Steuben (1730-1794), the Prussian drill-master of Continental Army troops during the 1777-78 Valley Forge encampment. The Von Steuben Headquarters House is located near the western edge of Valley Forge National Historical Park, on the north side of Pennsylvania Route 23, just east of the Valley Forge Post Office. A large parking area within the park boundary separates the two buildings. The house is a 2-1/2 story stone structure, with a gabled roof and three chimneys. The main facade is four bays wide, with the main entrance in the center-right bay. A pent roof separates the first and second floors of the main facade. The interior of the house is a reconstruction of a period 18th-century interior. The house was built around 1770 for James White. Between February and June 1778 Baron Friedrich von Steuben, a Prussian military officer who offered his services to the American cause, was resident at Valley Forge, and may have lived in this building during at least part of that time. Von Steuben was responsible not only for drilling the troops encamped at Valley Forge, but also developed a manual of military practices that the United States Army used until 1814. The house declined over the next 150 years and was made part of Valley Forge State Park. The state restored the building in 1965 after its interior was gutted by fire and served as a visitor’s center. It was designated a National Historic Landmark in 1972 for its claimed association with von Steuben. The park was given to the people of the United States by the state of Pennsylvania in 1976. The building’s exact use is a matter of some dispute among a variety of authorities, including the National Park Service. Its association with von Steuben was disputed during the 1950s and 1960s, and the restoration of its interior conducted by the state in 1966 was later questioned by the Park Service. Documentary evidence suggests the building was used as a camp hospital for at least part of the encampment period. The building now stands vacant and serves as part of the park’s historic landscape. The entire team at Kevin Smith Transportation Group is proud of our partnership with every company, venue and person from Schuylkill Township, PA who chooses KSTG as their #1 Transportation Company. We believe our priorities around luxury helps us deliver our services for everything from a once in a lifetime Wedding celebration to supporting our Corporate clients who require use of our Shuttles and Sprinters for a company event. With Schuylkill Township, PA and KSTG working together, we are confident KSTG vehicles will continue to support the entire area for years to come.